Annapolis, Bowie, Millersville and Waldorf — May 8, 2017— Acclaimed Maryland estate planning and elder law attorneys Colleen Sinclair Prosser, Jon J. Gasior and Victor A. Lembo partook in one of the nation’s premier legal education conferences in Indianapolis, IN from May 3 through May 7. The American Academy of Estate Planning Attorneys hosted their 23rd annual Spring Summit on “Integrity – The Foundation of Success, Without Integrity Nothing Works,” which included over 100 estate planning law firms from around the country. The American Academy is devoted to helping its Member attorneys transform the way they practice law. The conference focuses on enhancing relationships within their communities, cutting-edge legal education, practice management and leadership training. “The Spring Summit encouraged Members to practice integrity in every aspect of their lives and law practice. By honoring their commitments, they can continue building genuine relationships within their practices and communities,” said Sanford M. Fisch, CEO and co-founder of the American Academy. The Summit kicked off on Thursday with a keynote address titled, “How the Most Influential Communicators Create Accountability,” from speaker and CEO of Wynn Solutions, Garrison Wynn. Ms. Prosser, Mr. Gasior and Mr. Lembo received legal training on new legal strategies and updates in estate planning during the sessions: Planning for Special Needs Beneficiaries: Trusts and Other Strategies, Ethical Challenges: “They Should’ve Known Better,” Using Trust Protectors, Planning for Life’s Lottery: Distribution Patterns for Different Potential Outcomes and Planning Differences for First and Subsequent Marriages. 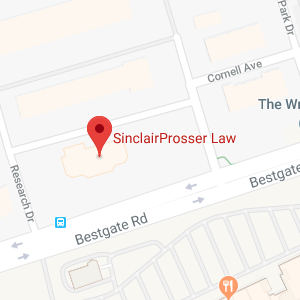 SinclairProsser Law has devoted its practice to estate planning and elder law matters for more than 27 and has been a Member of the American Academy of Estate Planning Attorneys since 1995. SinclairProsser Law is one of only three firms in Maryland to be admitted to Academy Membership. The firm has helped thousands of clients meet their estate planning goals and pass on meaningful, well-preserved legacies to their loved ones. To learn more about how you can achieve your estate planning goals, please call 410-573-4818 or 301-970-8080 or visit www.sinclairprosserlaw.com Media inquiries on estate planning topics are also welcome.